country she graces with her voice. “Smile” with Brazilian guitarist Diego Figueiredo currently on iTunes. “Just the Two of us” this past November. tour and performed in front of crowds that number over 10,000 people. 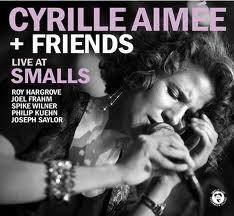 Roy Hargrove and Joel Frahm and is released under the label SmallsLIVE.